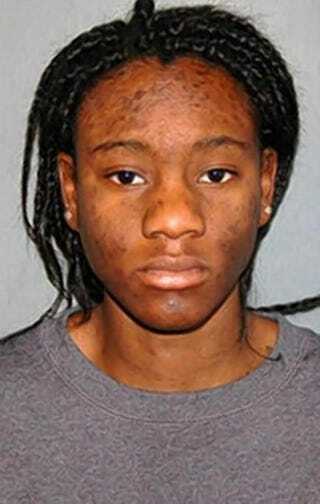 Hyphernkemberly Dorvilier has been arrested and charged with the death of her infant daughter. A 22-year-old New Jersey woman has been arrested on charges of intentionally burning her newborn girl alive, the New York Daily News reports. Hyphernkemberly Dorvilier of Pemberton Township, N.J., in Burlington County was charged with one count of murder in the infant’s death, the report says. She is accused of pouring a flammable liquid on the infant and then setting the child on fire in the middle of a road, the News writes. The incident happened around 11 p.m. Friday along Simontown Road, the report says. After a neighbor called 911, police arrived and quickly extinguished the flames. “It just puts life into perspective,” Dave Joseph, who lives nearby, told CBS Philly. He said he spotted the fire from his window and went to investigate. “We actually didn’t think it was a baby, we just thought it was a fire, somebody dumping everything down there, but when we found out what it was, it was just a nightmare,” he told the television news station. The infant was airlifted to St. Christopher’s Hospital in Philadelphia and died two hours later, the report says. Dorvilier, taken into custody at the scene, was charged with one count of murder and held on $500,000 bail. Read more at the New York Daily News and CBS Philly.